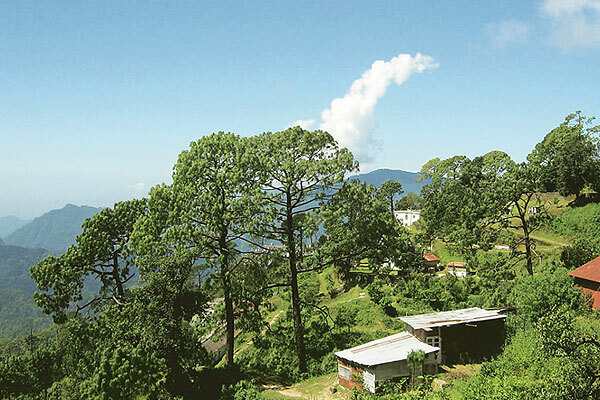 Lansdowne: Himalayan beauty | Life in a fast, furious, fugacious lane! Meandering through the small hamlets and thickly forested countryside roads, you land up in an exotic place with breathtaking landscape, breezy air and a magnificent view of the snow capped peaks. The drive to Lansdowne is arguably one of the best. Ensconced amidst the lush oak and pine trees of the Pauri Garhwaldistrict of Uttarakhand district at an altitude of 1,700mts, Lansdowne with many natural treks and hiking trails is the place to be this summer. Lansdowne got its name from Lord Lansdowne, who was the then Viceroy of India during the period of 1888 – 1894. Presently, Lansdowne has the command office of the Garhwal Rifles division of the Indian Army. Hitherto, owing to the strong presence of the Indian Army (Garhwal Rifles) where soldiers are trained on the huge parade ground right in the middle of the town, Landsdowne has maintained a low profile on the tourism map. The Army is believed to have hugely contributed to the Lansdowne culture, that is so evident in the surroundings and has even seeped into the moral and social fibre of the local populace. At Lansdowne, there is something for everybody. If there is Siddhpeeth route for the religious, there is wild life route for nature and animal lovers, adventure sports for the health freaks and cultural tourist attractions for the rest. For first timers, the places to be are Tip-n-Top (org: Tiffin Top), Regimental Museum, Bhulla Taal, St. Mary’s Church, Lover’s lane and Church Point. The best adventure activity that the tourists can enjoy here is trekking. The trekking trails are held in the fine-looking fields passing through the dark and deep forests. If you are fit enough, you can go for hiking, urges Rajendra Ghansela, a local. There are simple and tougher climbs to choose from. Or you can go for an easygoing and delightful nature walk. Then again, go camping, snow viewing and forest walking. Just make your own permutations and combinations, whatever works with you. For an extra dose of adventure sports, you can visit the Kalagarh Wildlife Sanctuary, famous for the Asian elephants. The dam across the Ram Ganga River is a must-visit destination. Around 50 kms from Lansdowne is Jim Corbett National Park. The easy route to reach there is through Dugadda, Dhountiyal Vatanbasha, 30 kms from park. For those who love to make a spiritual journey, Lansdowne is home to number of temples and shrines. There is the Tarkeshwar Mahadev Temple, around 30 kms away, which has the distinction of being the oldest sidhapeeths in India. The temple is ensconced in the jungle encircled by mighty deodar trees, and has a kund where its a must for pilgrims to bathe in. “It is a haven of serenity, where you go for meditation and come back rejuvenated,” says Harish Jadli, Secretary, Uttarakhand Lok Manch. We second it. 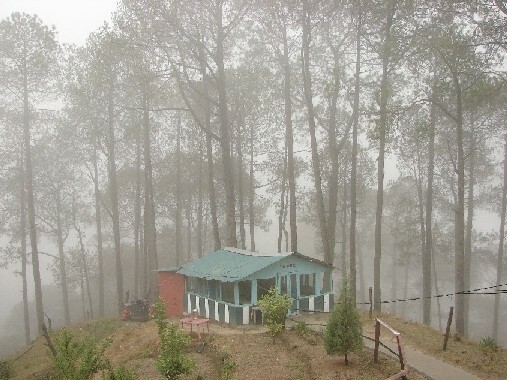 Jwalpa Devi Temple is 47 kms from Lansdowne on the Pauri- Kotdwar Road. Other temples in the vicinity include Durga Devi Temple. Sidhbali Temple, Santoshi Mata Temple, Bhairav Garhi Temple. There is an ancient British church which isn’t well kept but you can visit it to see the beautiful stained glass windows and the mystical ambience. The mosque of Lansdowne is unique as both the Shia and Sunni Muslims offer prayers there. Maverick journalist, irreverent rebel, travel freak, cricket junkie, reluctant fundamentalist, student of life, dreamer, believer.